It was right before Christmas when Robert Smith from Niagara Falls discovered that he had developed an ulcer on his right foot. 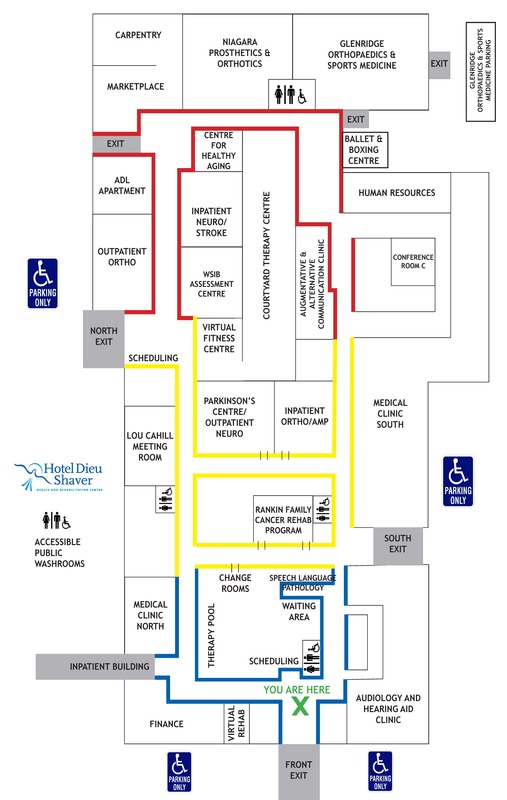 On December 24, the 51-year-old resident of Niagara Falls was at the Wound Clinic in St. Catharines getting treatment at one of the two oxygen chambers in the region. Robert was sent for tests with a vascular surgeon who found that his blood was not flowing properly to his right leg. Robert was given vascular surgery. After surgery the foot still didn't heal properly and became black underneath. He was given three options: surgery to amputate half his foot, his whole foot or the leg under the knee. Knowing that foot issues could return, Robert decided the best option would be to amputate his leg right below the knee. The nurse told him taking the leg would be three months of recovery. He had already lost 27 pounds off his small frame before his surgery was booked at Greater Niagara General Hospital (GNGH) on March 25th. Robert spent one week at GNGH healing from the surgery, and was transferred to Hotel Dieu Shaver Health and Rehabilitation Centre on March 31 to begin his rehabilitation. 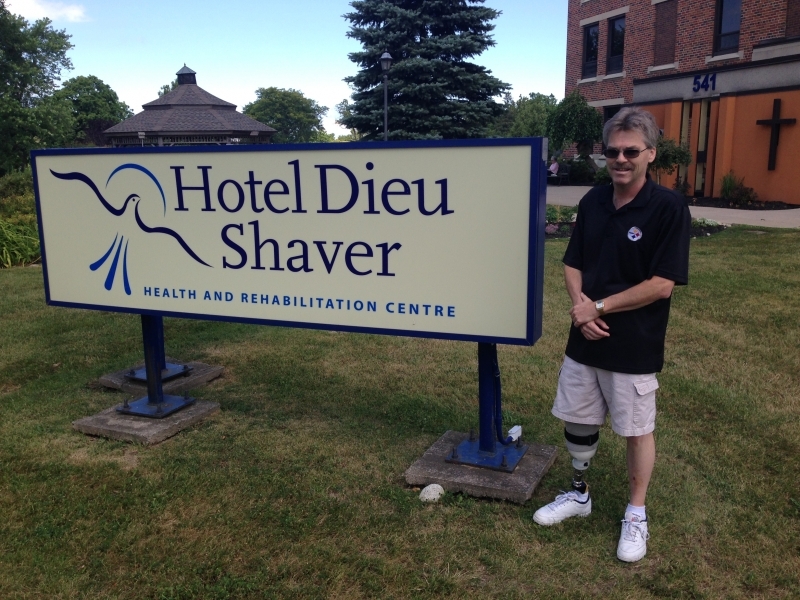 Robert was familiar with Hotel Dieu Shaver—his wife had been a patient after a knee replacement years before. He calls this new life “semi-normal”. Stairs are still a challenge for him, but he’s back to work now as purchaser and receiver, off-loading trucks for Sheraton on the Falls, where he has worked for 13 years. His home had to be re-fitted for accessibility, including widening his bathroom door for his wheelchair. His mindset has changed. Thinking he would never have the courage to walk outside in shorts, showing the thin metal from his prosthetic leg, he walks proudly now.